Carrots are a semi-hardy vegetable that grow best in cool weather with lots of sun. Carrots do not transplant well. Plant carrot seeds directly in the garden 3 weeks before the last frost. Carrot seeds take a long time to germinate, and need consistent watering until they do. It’s best to mist or use drip irrigation so you do not wash the carrot seeds away. 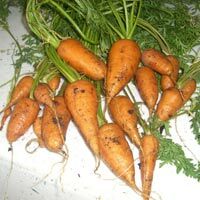 Plant carrot seeds directly in the garden 14 weeks before the first fall frost date. Carrots can becomes sweeter after a frost, so it’s a great vegetable to grow in the fall. If you can mulch carrots you can continue to harvest them about a month after the frost date. If you live in a mild climate with no fall frost date, you can grow carrots during the winter. Carrots grow best in deep soil that is light or sandy, but retains moisture. 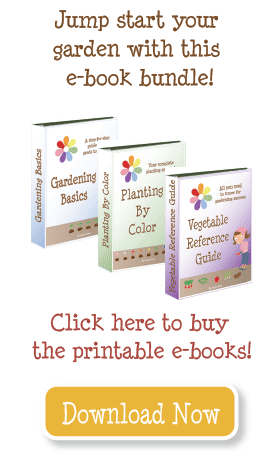 Amend with lots of compost and fertilizer (chemical or organic) at planting. If you are growing carrots in raised garden beds, you will need at least 10″ of soil. Harvest when leaves are full size.